My friend Diane from Much of a Muchness celebrated her first blog Birthday on the 23rd February. In honor of this achievement she created this beautiful award and passed it out to a wonderful list of blogging companions which you can see here. To be included in such illustrious company is very humbling and a great honor indeed. Thank you Diane for this wonderful award and for including me in your superb list of bloggers. This entry was posted on February 23, 2008 at 11:35 pm	and is filed under Awards, Much of a Muchness. 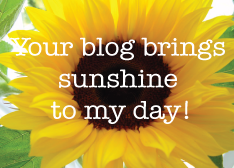 Tagged: Awards, Bloggers, Blogoversary, blogs, Diane, Much of a Muchness. You can follow any responses to this entry through the RSS 2.0 feed. You can leave a response, or trackback from your own site. I will pop over and pick up the meme too. At long last I thought I had my Awards page up to date, and I have received a few more to post! I’ll catch up one day LOL. You deserve this award and all of the others my dear friend. I love your blog, you always have interesting articles on it. Nice to have you back. I also have more to post yet! Um. Francine – Hey little sis…what’s happening with your other blog? To receive this award from you is awesome, now all I have to do is copy it along wth a few others to my Awards page….I just have to make the time LOl. This is one I certainly did not expect, and as with any award it is a great honor to be included. Hi Mister Sunshine, how are yah? How’s the little miss? Hope all is well and your are my Mr. Muchness guy=) Clink! Cheers! Missed yah! It’s my pleasure, Colin. To see my award on your blog amongst the many others that you have deservedly been given is quite a buzz!